With the help of many members of the Yahoo! Group, the Carnivoran Rules are now available. 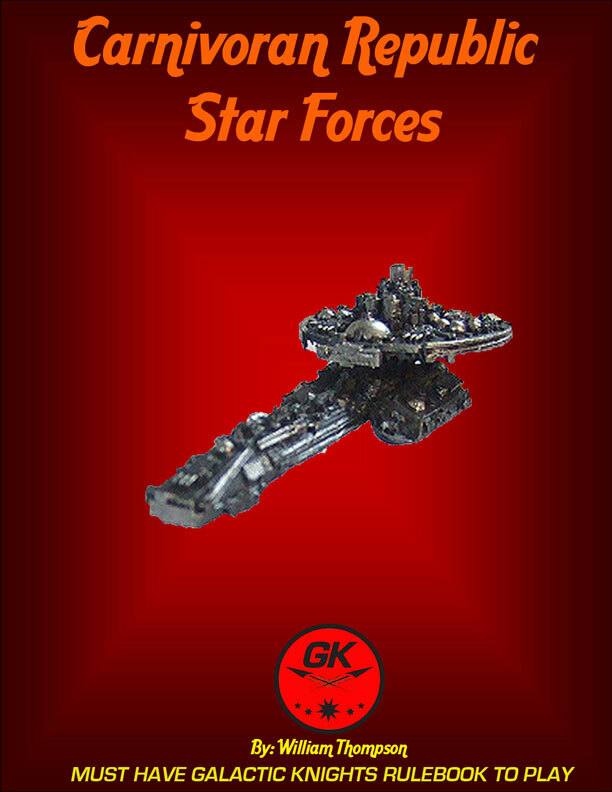 These rules are NOT a stand alone rules you must have the Galactic Knights rules to use this expansion! For this expansion, the Carnivoran rules will be available in two formats, electronic and print. Choose the format that best suits your current situation or get both for total flexablility.